S0705. LIONEL TERTIS (Viola) & GEORGE REEVES (Pf. 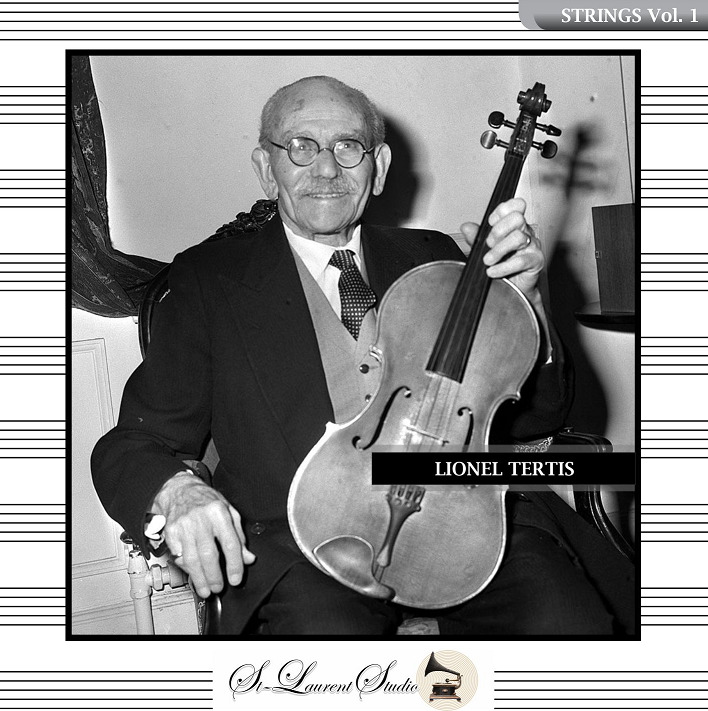 ): Violin Sonata #2 in C (Delius-Tertis); HASSAN – Serenade (Delius); LIONEL TERTIS & HARRIET COHEN (Pf. ): Sonata #1 in f, Op.120 (Brahms); LIONEL TERTIS & ALBERT SAMMONS (Vln), w.Harty Cond. London Phil. 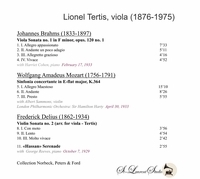 : Sinfonia concertante in E-flat, K.364 (Mozart). [It is quite unlikely that we'll ever hear Brahms' Sonata #1 in f played so eloquently and with such depth of feeling ever again!] (Canada) Yves St Laurent YSL 78-529, recorded 1929-33. Transfers by Yves St Laurent. 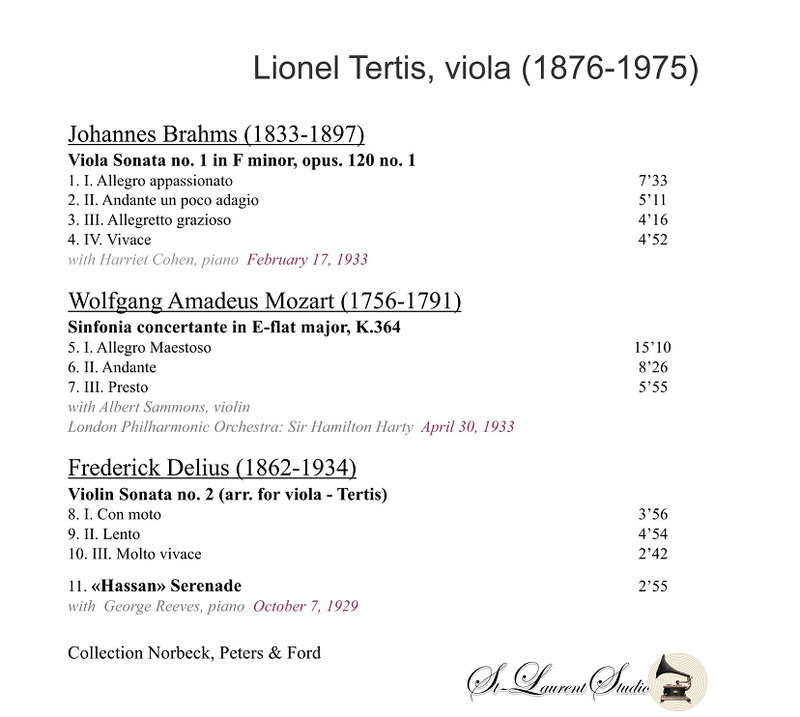 “I heard Tertis for the first time in recital in 1934 when he would have been fifty-eight years old and just about at the peak of his career. For me, a young violinist struggling to master the instrument, this event was amazing, something unbelievable. Here was a small man playing on a large viola and producing the most lovely sound that I had ever heard from a stringed instrument. He had everything: beautiful sound, consistent intonation, fine technique and a lovely way of phrasing a melody. He was the complete musician and artist. During the course of that recital, my future plans as a string player were turned upside down, and I had to become a violist and study with the man who so enthralled me.